How did you think Gordon did? The Prime Minister's speech has had a mixed reaction from the press. Many think he has succeeded in strengthening his position in the Labour Party but are not convinced he has persuaded enough of the public to change their opinion of him or his policies. Clearly The Sun's announcement that it will be supporting the Conservatives at the next election is a major blow for the party's morale. His announcements on electoral reform are particularly interesting. He has promised that a referendum would be held early in the next parliament on the alternative-vote system (something that the conservatives are opposed to). Although supporters of electoral reform are encouraged by this, they point out that Tony Blair made a pledge for reform in the 1997 manifesto which was never followed through. Thursday marks the 60th anniversary of the Communist Party's rule in China. This article shows how they have been preparing for the celebrations, and also remarks on how much change has taken place. Clearly there has been significant economic progress as the party has embraced many (capitalist) reforms, but also considerable suffering, as seen during the Cultural Revolution, the Great Famine of the 1950s and the crackdowns after the demonstrations in Tiananmen Square in 1989. 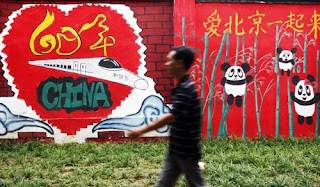 The Communist Party is now prepared to admit that mistakes were made, and that Chairman Mao was about "70% Correct" but it is unlikely they will encourage a full assessment of China's recent history. PS: Here is the China Daily's official coverage of the celebrations. For alternative points of view, here is the BBC's Beijing correspondent's final thoughts on the country before he left his post, and Amnesty International's Chinese Issues website. PS: Here is John Simpson's report on the 60th Anniversary celebrations, and links to other articles on China. 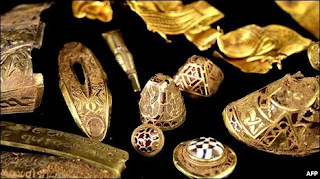 The Saxons have been in the news this week a bit after a huge hoard of treasure (1500 objects!) was found in Staffordshire. Here, the expert in antiquities at the British Museum explains why this is signficant, and here is more information about a fairly little-known period in English history. Hooray! President Obama gave our Prime Minister a hug, so everything must be ok with our special relationship. The White House has viewed with exasperation the UK's media's concern about a lack of a one to one meeting between the two leaders. As Mark Mardell points out in his new blog, Obama has had only special meetings with 5 world leaders (Israel, Palestine, Russia, China, Japan) for quite specific reasons. He has not met with Sarkozy, Berlusconi or Merkel and their have been no howls of anguish from these countries. PS: It's been an important week for Pittsburgh but, according to the local paper, the big news for many local residents is the arrival of a new Dunkin Donuts outlet. Some light relief on Question Time here and for those of you budding politicians out there, some guidance on public speaking here. 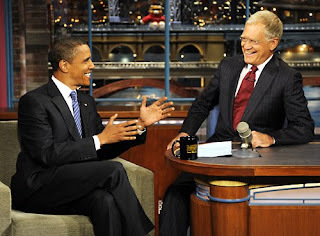 President Obama launched a media offensive over the weekend which included a visit to David Letterman's popular "Late Show". You can see highlights of his interview here - check out how the audience reacts to his arrival. Meanwhile Obama's conservative opposition are beginning to use his campaigning techniques against him, particularly though the use of new media such as blogs and social networking campaigns, encouraged by figures such as Fox's Glenn Beck. More details here. 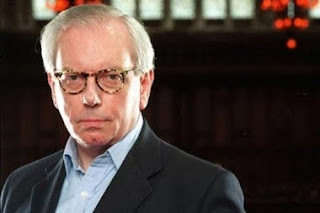 Here is a podcast of David Starkey speaking on the events of 1605 (The Gunpowder Plot) for Cambridge University. It would appear that both Oxford and Cambridge have been busy creating mp3s from some of their most eminent academics, so if you spot any other good ones, please let us know. 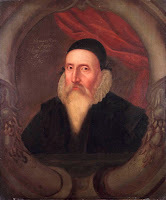 A conference has been held this week in Cambridge to consider the reputation of John Dee (1527-1608/9), one of England's greatest original thinkers. He owned the largest private library in the country, coined the phrase "The British Empire", was an expert on algebra, astronomy and navigation, advising explorers of the Northwest Passage of suitable routes to take. He was a tutor and adviser to Queen Elizabeth, introduced the first English edition of the works of Euclid, and his proposals to modify the calendar were 200 years ahead of their time. Unfortunately...he has largely been remembered as an astrologer and an occultist - i.e. a bit of a wizard. He cast horoscopes for Mary and Philip and suggested the most auspicious date for Elizabeth's coronation. He had a crystal ball for communicating with angels, and looked into the future using a special black mirror. He fell in with a conman and had a sequence of unfortunate adventures in Bohemia and Poland when he tried to share his angelic communications with several unimpressed monarchs. He returned to England penniless and died in poverty, cared for by his daughter. However, Dee's reputation, both as a scholar and a mystic has grown considerably. There is a vast amount of information on him on the internet, and you can even read some his own books. So - does he deserve to be called a Royal Wizard, or not? Is this the Liberal Democrats big chance? 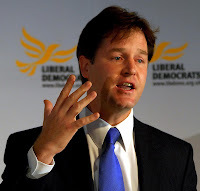 The Liberal Democrats meet in Bournemouth this week, their last conference before the General election. Could this be the election where they make the breakthrough and break the existing two party dominance in UK politics? Philip Stephens argues in the FT that the next election may represent a great opportunity for the Lib Dems to become a significant third force in politics. 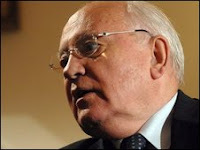 Mikhail Gorbachev was interviewed by the BBC over the weekend about his role in the events of 1989 that led to the removal of communism in Eastern Europe. He was remarkably relaxed about it, saying that he though that, "1989 was certainly change for the better - no doubt about it. We did not have… the necessary freedom, particularly freedom of speech." He admits some western leaders, including Margaret Thatcher and President Mitterand, were against German unification, but expected him to block the process on their behalf. Further comments, including his concerns about Vladimir Putin, can be found here. The word 'great' is often overused when people pass away (Ted Kennedy, Michael Jackson?) but a truly great man died this week that many of us had never heard of. 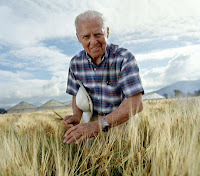 See the obituary of Norman Borlaug in this week's Economist of a man who saved millions of lives. Post a comment if you think he really deserves the title 'great' or not. Plenty of material from the Horrible Histories BBC programme has made its way to YouTube. This sketch for example imagines what Georges I II III and IV would be like if they auditioned for the X-Factor... There also plenty of links to other sketches - please recommend the best ones so we can put them on the blog. PS: Here is an interview with Terry Deary, creator of the Horrible Histories books. He does not consider himself to be a historian, and thinks schools are a waste of time! A fantastic opportunity for those interested in architecture this weekend - Open House gives you the opportunity to visit buildings all over London for free, some of which are not normally open to the public. 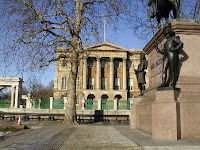 Some particularly interesting ones include Apsley House, Benjamin Franklin's House and the Foreign & India Offices. Look here to see what's open in your area or area of interest. Is "Our Island Story" being told? Here is a further article (From Dominic Sandbrook in the Telegraph) worrying about the decline of history teaching in schools. He criticises the government's "Yo! Sushi" approach to the subject, "in which schools randomly pick unrelated historical topics like saucers from a conveyor belt, instead of studying our national story as a continuous narrative, which is how any sensible person sees it." He believes students would be better served by a more narrative approach giving a greater overview of our national story, and recommends H E Marshall's "Our Island Story", although this was first printed in 1905. The complete text is now available here on the internet, so please have a look and tell us what you think! UPDATE! Too busy to read? You can download the entire book for free and listen to it on your MP3, alongside other classic books. Have a look here! 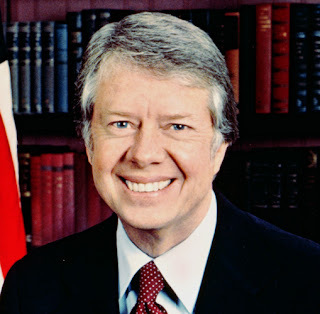 The level of partisanship in US politics has increased to such a level over the summer that ex President Jimmy Carter claims the mood has turned so ugly that hidden racial slurs are now being used against President Barack Obama. Do you think the level of debate in the US is too negative? The Imperial War Museum in Manchester has an exhibition running until March about the Berlin Wall and how it affected the city. There are lots of photographs as well as a Trabant, a searchlight and a piece of the wall itself. Here are a selection of images from the wall's 28 year history, and here is the Times' review of the exhibition, plus other interesting articles, including the Jewish history of the city, and a visit to the headquarters of the Stasi. Should Gordon Brown take part in a televised debate? Sky News has announced that it will hold one before the next elections, and David Cameron and Nick Clegg have agreed to take part. However, Brown knows there are considerable risks involved - this Economist article gives as an example the debate between Kennedy and Nixon in 1960. 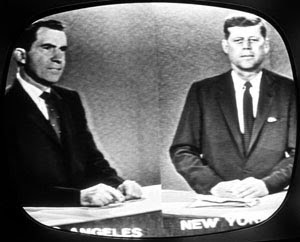 Radio listeners thought that Nixon was the better debater that night, but television viewers (of which there were many millions more) thought Nixon looked sweaty and shifty, whilst JFK came across as calm and reasonable. Many thanks to everyone who attended the meeting at lunch time which introduced the newly re-named "HP Society". Maddy suggested that we had a debate next Tuesday so please leave comments here on suitable titles or pass on your ideas to her. PS: If you have any good ideas for logos for the society, please bring them along next week! As we gear up for the 20th anniversary of the fall of the Berlin Wall, secret Kremlin notes of meetings between Thatcher and Gorbachev have been released here. They reveal Thatcher's real feelings on the subject of the reunification of Germany and how she pressed Gorbachev to change course. Does this change or cement your view of Thatcher?! What do you think it says about what politicians say in public and what they do in private? 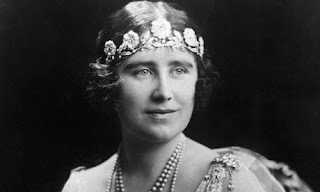 The official biography of the Queen Mother has just been published. It is based on her own letters and papers so should be quite revealing about what she was like and what she experienced as Queen during World War 2 in particular. More details can be found here, while a writer in the Guardian takes a more controversial view, considering her to be the "Queen of Unkindness". What do you think? 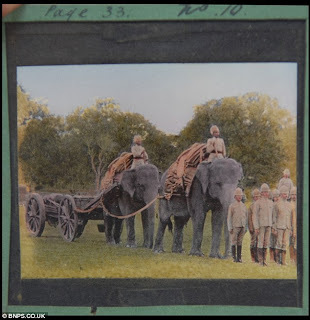 Some fascinating images of the British Empire in the late 19th Century have been uncovered -and they are in colour. Henry Harrison travelled round the globe (including China during the Boxer rebellion) and took plenty of photographs. When he got home he coloured them all in, painstakingly, by hand. You can see examples here and here. The weekend has thrown up two contrasting stories about the state of History at the moment. 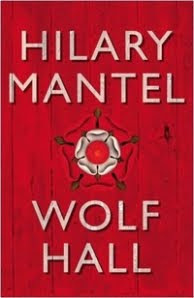 The Booker prize shortlist has been announced and is entirely made up of historical fiction, including "Wolf Hall",Hilary Mantel's account of the rise of Thomas Cromwell. Clearly there remains a great interest in popular history within the general public and amongst more serious literary figures. Is this an exaggeration? Should history teachers be worried? Or will the British public always have a fascination with the past, whatever they learn at school? Today is the 8th anniversary of "9/11", when terrorists hijacked aircraft to attack the Twin Towers in New York and the Pentagon in Washington DC. President Obama has attended a memorial service at the Pentagon, and Vice-President Biden laid a wreath at Ground Zero. Today is now known in the US as the "National Day of Service and Remembrance". However, 8 years on, is people's attitude to this event now changing? Can it now be described as an event "from history"? Certainly the new intake of Year 7s at Nonsuch(aged three at the time) have no memory of it. 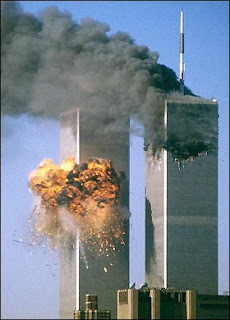 Perhaps the inauguration of President Obama makes it easier to consign 9/11 to a previous "chapter" of history. What do you think, and what are your memories of the day? On another note, there was a documentary on BBC2 last night about the collapse of Lehman Brothers in September 2008. It approached the subject, through its narrative and interviews with key figures, clearly a historical event. Is this too soon, and when is it acceptable to treat events in the past as history? 20 years ago today on 10 Sep 1989, the Hungarian government agreed to allow the thousands of East German refugees who had been flooding into the country to leave for West Germany. 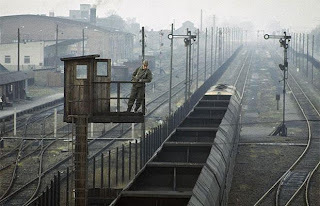 This in effect was the beginning of the removal of the Iron Curtain, and the event was the catalyst for the collapse of East Germany and the fall of the Berlin Wall. Mr Coy was living in West Germany at the time, and remembers there being a big street party when his neighbours welcomed their East German and Hungarian friends. 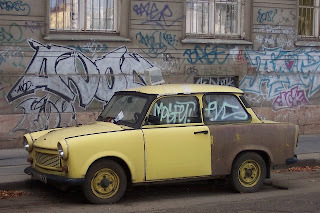 Lots of East German cars called Trabants suddenly appeared, often causing traffic jams because they were so slow, had broken down, or had crashed. More information can be found in this BBC article. Here is a timeline of key events in 1989, and here is some more Hungarian history. If anyone has any time on their hands tonight, there is going to be quite an interesting debate at Bourne Hall in Ewell on civil liberties held by the pressure group NO2ID, see here. Speakers include the Justice Minister, Michael Wills and the Shadow Home Secretary Chris Grayling. 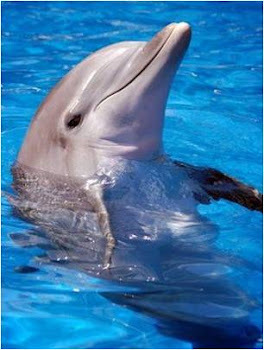 Do comment on the blog if you go! The controversy surrounding the case of the release of the Lockerbie bomber has hit Scotland's minority SNP government hard. 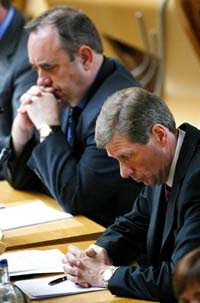 Polls suggest it has also damaged their dream for independence from the UK. Here is a discussion of this issue in this week's Economist. 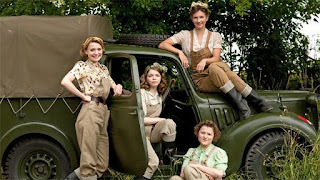 BBC1 have dropped the Weakest Link in favour of drama called "The Land Girls" this week to mark the anniversary of the outbreak of World War 2. More details (and iPlayer links) here and here. If you watch it, please let us know what you think - proper historical drama, or daytime TV with turnips and 1940s fashions? 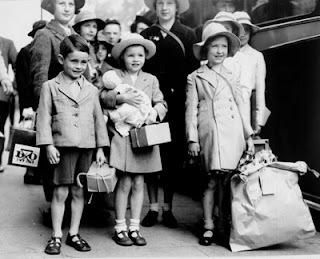 In other news, the BBC People's War archive is an excellent resource of people's memories of life in the conflict and on the home front. It can be found here. UPDATE: Thanks for the comments so far - glad that people are enjoying it! If there are any interesting storylines, characters or historical situations please let us know. 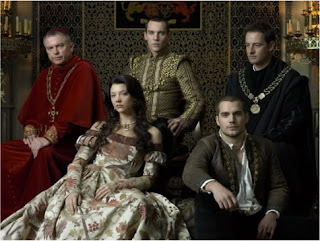 Have you been watching the Tudors? It's an enjoyable way to spend an hour on a Friday evening, but its accuracy is making some historians rather cross, including David Starkey, as the Telegraph reports here. However, others suggest that all historical interpretations can be of use providing they are watched critically and it is remembered that their primary purpose is to entertain. This author writes that "complaints over shows like The Tudors are simply asinine assertions of imaginary intellectual authority". Meanwhile the BBC helpfully offers the chance research Henry VIII further using its new search facilities, shown here. Hello and welcome back for the new term. We hope you have had a good summer and are ready for the challenges that lie ahead! As you have probably noticed, a significant anniversary is already upon us with the 70th Anniversary of the Declaration of World War 2 on 3 September. The BBC have put together an extensive site about this here with lots of really good archive material. This includes Chamberlain's speech announcing the declaration of war, and contemporary footage of the evacuations and other preparations for war.